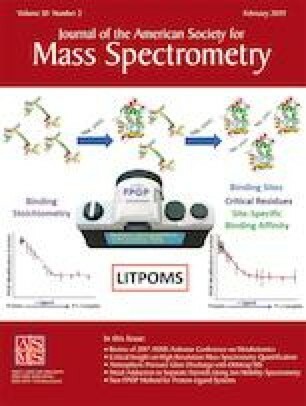 Ambient ionization mass spectrometry (MS) techniques, such as desorption electrospray ionization (DESI), have been increasingly used due to their simplicity, minimal sample preparation requirements, and potential applications in the field and the clinic. However, due to their intrinsic nature, the performance of these methods is susceptible to variations in ambient conditions. Here, we present data that suggests DESI-MS analysis becomes inconsistent below a relative humidity (RH) level of ~ 35%. At low RH, we hypothesize that the DESI spray is subjected to frequent electrical discharges, resulting in unstable ionization and atypical mass spectra. 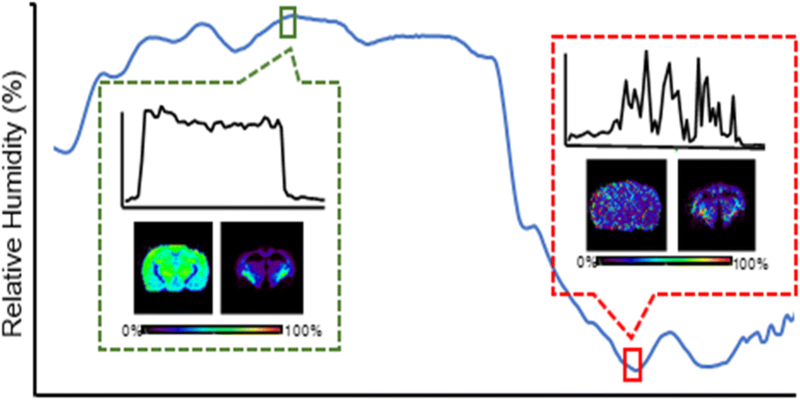 Consequentially, poor image quality is observed when used for tissue imaging. Our results suggest that RH control should be considered in DESI-MS experiments to assure data quality. The online version of this article ( https://doi.org/10.1007/s13361-018-2105-9) contains supplementary material, which is available to authorized users. Support from the NIH (R00CA190783) and the Welch Foundation (F-1895) is gratefully acknowledged. We thank Collin Davies from Prof. Richard M. Crooks research group (UT Austin) and Dr. Sankha Basu from Prof. Nathalie Y.R. Agar’s research group (Harvard Medical School) for fruitful discussions.